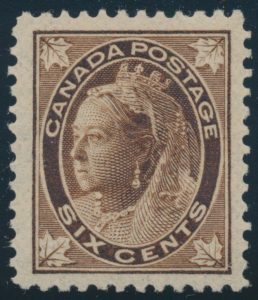 Lot 211 Canada #71 1897 6c brown Queen Victoria Leaf, mint never hinged, a nicely centered fresh stamp, extremely fine. 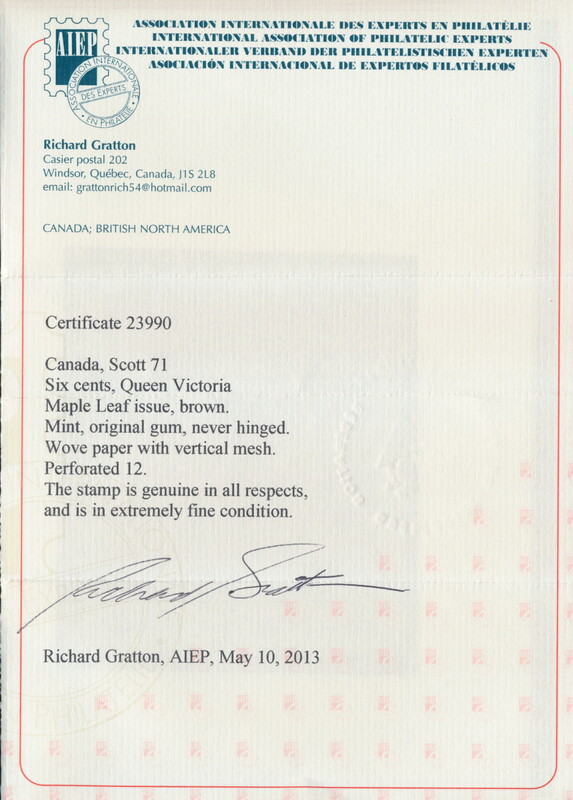 Accompanied by a 2013 Richard Gratton AIEP certificate. 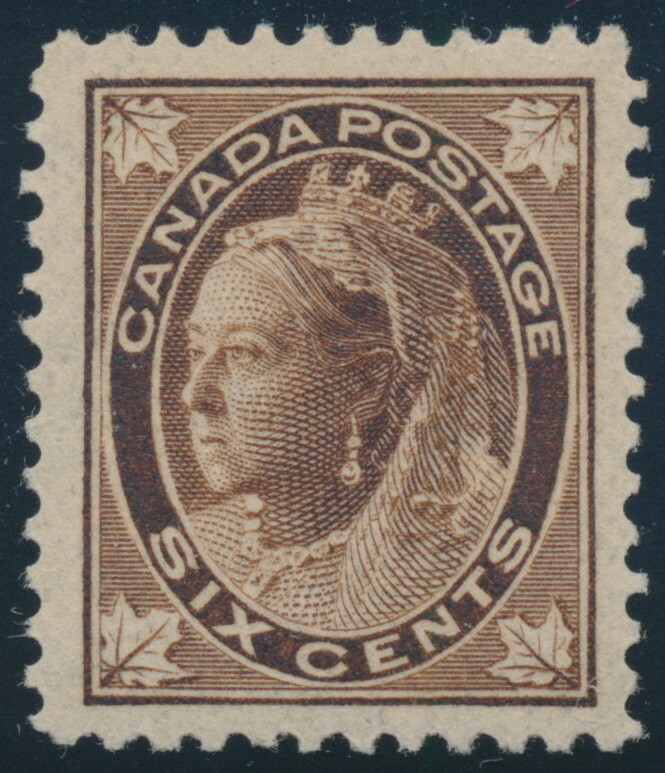 Unitrade CV$675, sold for C$375.00 plus 15% buyer’s premium.